Nashville, TN -- Famed bluegrass duo Dailey & Vincent received multiple top honors at the 39th Annual SPBGMA Bluegrass Music Awards on Sunday, February 3, where they were named “Bluegrass Band of the Year (Overall),” “Vocal Group of the Year” and “Gospel Group of the Year (Contemporary).” These awards come on the heels of their Grammy® nomination “Bluegrass Album of the Year” (awards to be held on February 10, 2013), their second Grammy® nomination since the formation of the celebrated duo in 2012. Dailey & Vincent toured throughout the country last year, performing over 115 shows, including several high-profile and prestigious events with the Grand Ole Opry, the Gospel Music Hall of Fame, the ACM Honors, the BMI Awards and the IBMA Awards. Their tour schedule will continue to expand having recently signed an exclusive booking agreement with CAA, one of the world’s top talent agencies. The three-time International Bluegrass Music Association (IBMA) “Entertainers of the Year” and “Vocal Group of the Year” winners are active in giving back to the community. The duo founded The Dailey & Vincent Helping Hands Fund, administered through the Cookeville Regional Medical Foundation, a 501©(3) organization in Tennessee. It exists to provide financial assistance to disadvantaged children of Tennessee's Jackson and DeKalb counties to meet immediate medical, nutritional and educational needs not covered by insurance or other means. They helped raise over $25,000 during their September 2012 concert which brought the total monetary contribution to over $80,000 since Helping Hands’ inception in 2010. 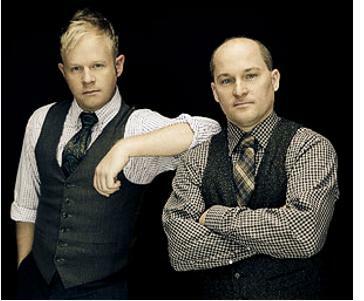 Dailey & Vincent will release their new album, Brother of the Highway, (Rounder Records) in early 2013.